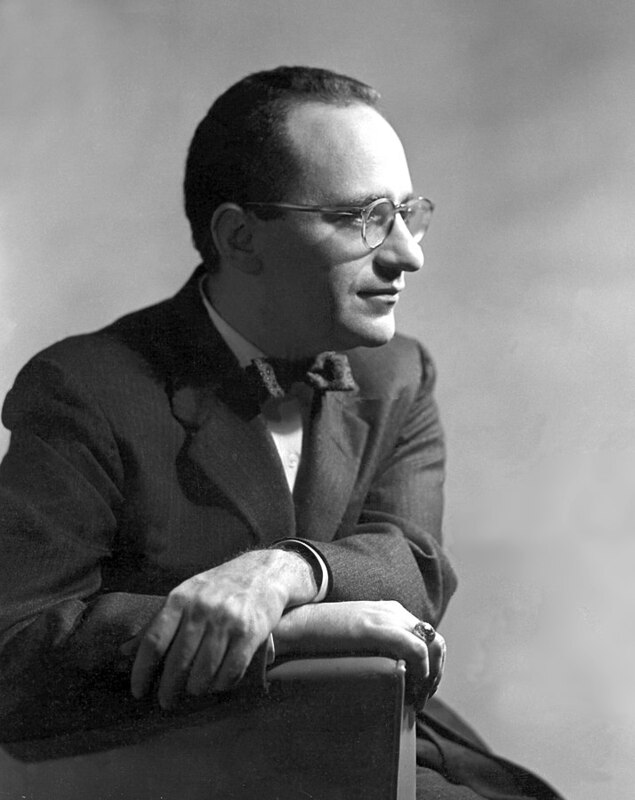 Murray Newton Rothbard (March 2, 1926 – January 7, 1995), a major American public intellectual, was a scholar of extraordinary range who made major contributions to economics, history, political philosophy, and legal theory. He developed and extended the Austrian economics of Ludwig von Mises, in whose seminar he was a main participant for many years. Rothbard established himself as the principal Austrian theorist in the latter half of the twentieth century and applied Austrian analysis to historical topics such as the Great Depression of 1929 and the history of American banking. Rothbard was not interested only in academic controversies, rather he combined Austrian economics with a fervent commitment to individual liberty. Rothbard devoted his remarkable intellectual energy to developing and promoting his style of libertarianism, developing a unique synthesis, the new political philosophy of Anarcho-capitalism. Anarcho-capitalism is a utopian vision rooted in capitalism, but Rothbard combined his idealism with the reality he found through his rigorous analyses. He wished to both understand and change the world. But to change the world it is human nature that needs to be changed, for as Rothbard himself recognized, the source of value is not found in human labor, but involves a subjective construct in the human mind. Despite his brilliance and his desire to develop a natural law that would be the foundation for a good society, Rothbard could not change the world, although his efforts are a major step toward its improvement. Murray Rothbard was born March 2, 1926 in New York City, the son and only child of David and Rae Rothbard, immigrant parents. His father, a chemist, came from Poland and his mother from Russia. They raised their Jewish family in the Bronx, where he was exposed to the strong socialist thinking of many Jewish and immigrant families. Murray was a brilliant student even as a young child, attending Birch Wathen School in New York. He excelled at Columbia University, where he majored in mathematics (BA 1945) and economics (MA 1946). In the Columbia economics department, Rothbard did not receive any instruction in Austrian economics. In a course on price theory given by George Stigler, however, he encountered arguments against such then popular measures as price and rent control. These arguments greatly appealed to him; and he wrote to the publisher of a pamphlet that Stigler and Milton Friedman had written on rent control. The publisher in question was the Foundation for Economic Education; and visits to this group’s headquarters led Rothbard to a meeting with Ludwig von Mises. Rothbard was at once attracted to Mises’ laissez-faire economics, and when Mises’s masterwork Human Action appeared in 1949, it made a great impression on him. From that time he became a praxeologist, and an active member of Mises’ seminar at New York University. In the late 1950s, Rothbard was briefly involved with Ayn Rand's Objectivism, but later had a falling out. Meanwhile, he continued his graduate studies at Columbia University, working toward his Ph.D. His mentor was the eminent economic historian Joseph Dorfman, and Rothbard received the degree in 1956, with a thesis on the Panic of 1819 that has become a standard work (Rothbard 2007). On January 16, 1953 he married JoAnn Schumacher in New York City. She became the “indispensable framework” for his life and work (Gordon n.d.). For 22 years, he taught at Brooklyn Polytechnic Institute. Rothbard soon attracted the attention of the William Volker Fund, the main group that supported classical liberal scholars in the 1950s and early 1960s. He began a project to write a textbook to explain Mises' Human Action in a fashion suitable for college students; a sample chapter he wrote on money and credit won Mises’ approval. As Rothbard continued his work, he transformed the project. The result, Man, Economy, and State (1962), became a central work of Austrian economics. During the 1970s and 1980s, Rothbard was active in the Libertarian Party. He was frequently involved in the party's internal politics: from 1978 to 1983, he was associated with the Libertarian Party Radical Caucus and opposing the "low tax liberalism" espoused by 1980 presidential candidate Ed Clark and Cato Institute president Edward H Crane III. He split with the Radical Caucus at the 1983 national convention. In 1989, Rothbard left the Libertarian Party and began building bridges to the post-Cold War right. He was the founding president of the conservative-libertarian John Randolph Club and supported the presidential campaign of Pat Buchanan in 1992. However, prior to his death in Manhattan of a heart attack, Rothbard had, eventually, become disillusioned with the Buchanan movement. He died in 1995. In 45 years of scholarship and activism, Murray Rothbard produced over two dozen books and thousands of articles that made sense of the world from a radical individualist perspective. In doing so, can be said that Rothbard created the modern libertarian movement. the foreign policy of the American Old Right – that is, isolationism. Murray Rothbard was a grand system builder. In his monumental text Man, Economy, and State (1962), Rothbard continued, embodied, and extended Ludwig von Mises' methodological approach of praxeology to economics. Rothbard contributed two major advances beyond the standards set by Mises’ Human Action. First, he provided systematic clarification of the theory of marginal utility, and second he advanced a new reconstruction of welfare economics and an economic theory of the state, entirely absent in Mises’ work (Hoppe 1999). He followed up and complemented Man, Economy, and State with his brilliant The Ethics of Liberty (1982) in which he provided the foundation for his metanormative ethical theory. Exhibiting an architectonic character, these two works form an integrated system of philosophy. His main scientific output could be defined in these two main publications plus Economic Thought Before Adam Smith and Classical Economics, in two volumes, that appeared in 1995, posthumously. In a 1971 article in Modern Age, Murray Rothbard declared that Mises' work provides us with an economic paradigm grounded in the nature of human beings and in individual choice. Rothbard explains that Mises' paradigm furnishes economics in a systematic, integrated form that can serve as a correct alternative to the crisis situation that is the status of modern economics. According to Rothbard, it is time for us to adopt this paradigm in all of its facets (Rothbard 1971). Like Mises, Rothbard begins with the axiom that human beings act, and he believes that all of economic theory can be logically deduced from this starting point. Committed to the praxeological method, Rothbard's writings are characterized by value-free deductive reasoning, abstract universal principles, and methodological individualism. He agrees with Mises that the basic test of economic theory is the truth of the premise and the logical chain of reasoning involved. By setting out from the undeniable fact that a person acts, Rothbard establishes economics as a logic of action. Rothbard defends Mises' methodology but goes on to construct his own edifice of Austrian economic theory. Although he embraced nearly all of Mises' economics, Rothbard could not accept Mises' Kantian extreme a prioristic position in epistemology. Mises held that the axiom of human action was true a priori to human experience and was, in fact, a synthetic a priori category. Mises considered the action axiom to be a law of thought and thus a categorical truth prior to all human experience. Rothbard agreed that the action axiom is universally true and self-evident but argued that a person becomes aware of that axiom and its subsidiary axioms through experience in the world. A person begins with concrete human experience and then moves toward reflection. Once a person forms the basic axioms and concepts from his experiences with the world and from his reflections upon those experiences, he does not need to resort to external experience to validate an economic hypothesis. Instead, deductive reasoning from sound basics will validate it. Thus, Rothbard, working within an Aristotelian, Thomistic, or Mengerian tradition, justified the praxeological action axiom as a law of reality that is empirical rather than a priori. Of course, this is not the empiricism embraced by positivists. This kind of empirical knowledge rests on universal inner or reflective experience in addition to external physical experience. This type of empirical knowledge consists of a general knowledge of human action that would be considered to be antecedent to the complex historical events that mainstream economists to try to explain. The action axiom is empirical in the sense that it is self-evidently true once stated. It is not empirically falsifiable in the positivist sense. It is empirical but it is not based on empiricism as practiced by today's economics profession. Praxeological statements cannot be subjected to any empirical assessment whether it is falsificationist or verificationist. Whether we consider the Axiom "a priori" or "empirical" depends on our ultimate philosophical position. Professor Mises, in the neo-Kantian tradition, considers this axiom a law of thought and therefore a categorical truth a priori to all experience. My own epistemological position rests on Aristotle and St. Thomas rather than Kant, and hence I would interpret the proposition differently. I would consider the axiom a law of reality rather than a law of thought, and hence "empirical" rather than "a priori." But it should be obvious that this type of "empiricism" is so out of step with modern empiricism that I may just as well continue to call it a priori for present purposes. For (1) it is a law of reality that is not conceivably falsifiable, and yet is empirically meaningful and true; (2) it rests on universal inner experience, and not simply on external experience, that is, its evidence is reflective rather than physical; and (3) it is clearly a priori to complex historical events (Rothbard 1957). Rothbard nevertheless continued to endorse Mises' monumental, integrated, and systematic treatise, Human Action, as a complete and true paradigm based on the nature of man and individual choice. Although he disagreed with Mises' epistemology, he does agree that Mises' praxeological economics appropriately begins with, and verbally deduces logical implications from, the fact that individuals act. Rothbard contended that it was time for Mises' paradigm to be embraced if we are to find our way out of the methodological and political problems of the modern world (Rothbard 1962). Without delving too deeply into the murky waters of epistemology, I would deny, as an Aristotelian and neo-Thomist, any such alleged 'laws of logical structure' that the human mind necessarily imposes on the chaotic structure of reality. Instead, I would call all such laws "laws of reality," which the mind apprehends from investigating and collating the facts of the real world. My view is that the fundamental axiom and subsidiary axioms are derived from the experience of reality and are therefore in the broadest sense empirical. I would agree with the Aristotelian realist view that its doctrine is radically empirical, far more so than the post-Humean empiricism which is dominant in modern philosophy (Rothbard 1976). But Rothbard has not received sufficient credit for the monumental task of integration that he achieved with such elegance. There are a number of reasons for this oversight. One of them is the short shrift that academia gives to system-building in preference to extreme specialization within disciplines that are already carefully defined. Rothbard once complained: "Probably the most common question that has been hurled at me – in some exasperation – over the years is: 'Why don't you stick to economics?' Calling the question a "sad reflection on the hyperspecialization among intellectuals," Rothbard continued, "this syndrome has been carried so far that they scorn any attention to politico-economic problems as a demeaning and unclean impurity" (Rothbard 1974). Rothbard was totally committed to the praxeological method. In fact, he thought that Mises was not sufficiently thoroughgoing or revolutionary enough with respect to his praxeological deductions. By consistently taking the praxeological path in economics, Rothbard arrives at the desirability of a pure anarcho-capitalist society. He convincingly argues that a stateless society is the only society totally consonant with natural rights to person and property. Freedom means private property, consent, and contract. It follows that the institutions and projects of a legitimate society stem from consensual agreements between property owners. Rothbard endorsed private property anarchism because he could not reconcile a coercive monopoly government with men's natural rights to liberty and legitimately acquired property. The state cannot be defended on praxeological or moral grounds. He systematizes a fully consistent argument against government intervention in human pursuits in any form or circumstances. Rothbard demonstrates that there exists no proper role for the State by explaining how market enterprises or associations can supply any good or service desired by individuals. Private companies and voluntary associations can do whatever needs to be accomplished. The market can produce all goods and services including defense, security, and arbitration activities. Rothbard produced a system of political and social philosophy based on economics and ethics as its foundations. First, he presented an exhaustive case for a pure market economy resting on the observation that "men act" in Man, Economy, and State and then in The Ethics of Liberty he explained the relationship between economics and ethics that is grounded in the concept of property. Rothbard teaches that economics can provide data and knowledge for a libertarian position, but that it cannot morally validate that political philosophy. Insisting that economics, as a science, is value-free, he contends that an ethical foundation must be established in order to make the case for individual freedom. According to Rothbard, economics and ethics are separate disciplines, complement one another, and are based on the nature of man and the world. He recognizes the need for an ethic to underpin, accompany, and enhance a value-free economics in order to solidify the argument for a free-market society. To make a case for laissez-faire, Rothbard goes beyond economics by formulating a metanormative objective ethics that affirms the essential value of liberty. Separating praxeological economics from the science of ethics, Rothbard bases his ethical system upon the principles of self-ownership and first use–first own. Beginning with axiomatic principles about the nature of man and the world, Rothbard devises a radical dualistic dissociation between political ethics and personal morality. In essence, he is distinguishing between the metanormative sphere of politics and law and the normative domain which concerns moral or ethical principles for one's self-fulfillment and flourishing. Rothbard is differentiating between natural rights and the morality or immorality of the exercise of those rights. There is a critical distinction between the right to take a particular action and the morality of that action. Rothbard's The Ethics of Liberty is not a prescription for personal morality. Instead, in it he concentrates on the political dimension of social relations by constructing a framework of political philosophy that only expresses what ought to be permitted and not what is desirable or proper. Rothbard's libertarian ethic considers nonaggression to be an absolute principle prior to any foundation for personal morality. In other words, he separates the form of human liberty from any specific noncoercive context in which a person's liberty is used. Rothbard is morally neutral with respect to the particular values and goals at which a person aims as long as the individual does not initiate the use of force or fraud against other people. Although Rothbard realized the importance of an individual's personal moral values, he viewed them as separate from, but dependent upon, the institution of a libertarian social order (Rothbard 1975). It is also important for the State to inculcate in its subjects an aversion to any outcropping of what is now called 'a conspiracy theory of history.' For a search for 'conspiracies,' as misguided as the results often are, means a search for motives, and an attribution of individual responsibility for the historical misdeeds of ruling elites. If, however, any tyranny or venality, or aggressive war imposed by the State was brought about not by particular State rulers but by mysterious and arcane 'social forces,' or by the imperfect state of the world—or if, in some way, everyone was guilty—then there is no point in anyone's becoming indignant or rising up against such misdeeds. Furthermore, a discrediting of 'conspiracy theories' will make the subjects more likely to believe the 'general welfare' reasons that are invariably put forth by the modern State for engaging in aggressive actions. (Rothbart 1975). Both Murray Rothbard and Ayn Rand were concerned with the nature of man and the world, natural law, natural rights, and a rational ethics based on man's nature and discovered through reason. They also agreed that the purpose of political philosophy and ethics is the promotion of productive human life on earth. In addition, both adopted, to a great extent, Lockean natural rights perspectives and arguments that legitimize private property. Additionally, they both disagreed with Mises' epistemological foundations and on very similar grounds. Both Rothbard and Rand endeavored to determine the proper rules for a rational society by using reason to examine the nature of human life and the world and by employing logical deductions to ascertain what these natures suggest. They agreed with respect to the volitional nature of rational human consciousness, a man's innate right of self-ownership, and the metanormative necessity of noncoercive mutual consent. Both thus subscribed to the nonaggression principle and to the right of self-defense. Rothbard and Rand did not agree, however, on the nature of (or need for) government. They disagreed with respect to the practical applications of their similar philosophies. Rejecting Rand's idea of a constitutionally-limited representative government, Rothbard believed that their shared doctrines entailed a zero-government or anarcho-capitalist framework based on voluntarism, free exchange, and peace. Rothbard and Rand subscribed to different forms of metanormative libertarian politics – Rothbard to anarcho-capitalism and Rand to a minimal state. Unlike Rand, Rothbard ended his ethics at the metanormative level. Rand, on the other hand, advocated a minimal state form of libertarian politics based on the fuller foundation of Objectivism through which she attempted to supply an objective basis for values and virtues in human existence. Of course, Rothbard did discuss the separate importance of a rational personal morality, stated that he agreed essentially with most of Rand's philosophy, and suggested his inclination toward a Randian ethical framework. The writings of Murray Rothbard, much like those of Carl Menger, the founder of Austrian economics, have done a great deal toward building a bridge between Austrian economics and Objectivism. Rothbard made many valuable contributions to economic theory. In a major paper, “Toward a Reconstruction of Utility and Welfare Economics” (1956), he showed that if one takes seriously the fact that utility is ordinal and not cardinal, then the anti-market views of most modern welfare economists must be abandoned. Strict application of demonstrated preference allows one to say that the participants to a voluntary exchange expect ex ante to benefit. Further than this, the economist, so long as he remains value-free, cannot go. His main papers on economic theory are available in the posthumously published two-volume collection The Logic of Action (1997). In making this argument, Rothbard became a pioneer in “Hoover revisionism.” Contrary to the myths promoted by Hoover himself and his acolytes, Herbert Hoover was not an opponent of big government. Rothbard’s view of Hoover is now widely accepted. In America’s Great Depression (1963) Rothbard showed the illumination that Austrian theory could bring to economic history. In this view, far from being a proof of the failures of unregulated capitalism, the Great Depression of 1929 illustrates the dangers of government interference with the economy. The economic collapse came as a necessary correction to the artificial boom induced by the Federal Reserve System’s monetary expansion during the 1920s. The attempts by the government to “cure” the downturn served only to make matters worse. Rothbard discussed monetary theory in detail, emphasizing the virtues of the classical gold standard and supporting reserve banking. This system, he held, would prevent the credit expansion that leads inevitably to depression, according to the theory of the business cycle developed by Austrians Mises and Friedrich Hayek. Rothbard summarized his views for the general public in the often-reprinted pamphlet "What Has Government Done to Our Money?" (1964) and also wrote a textbook, The Mystery of Banking (1983). For Rothbard, banking policy was a key to American economic history. He was always concerned to identify the particular actors and interests behind historical decisions. The struggle between the competing Morgan and Rockefeller banking circles figures again and again in his articles in this field, collected in his A History of Money and Banking in the United States: The Colonial Era to World War II (2002). In a four-volume series, Conceived in Liberty, (1975-1979) he presented a detailed account of American colonial history that stressed the libertarian antecedents of the American Revolution. He had little use for New England Puritanism, and the virtues and military leadership of George Washington did not impress him. For Rothbard, the Articles of Confederation were not an overly weak arrangement that needed to be replaced by the more centrally focused Constitution. Quite the contrary, he regarded the Articles themselves as allowing too much central control. Rothbard modified the famous dictum of Marx: he wished both to understand and change the world. He endeavored to apply the ideas he had developed in his theoretical work to current politics and to bring libertarian views to the attention of the general public. One issue for him stood foremost. Like Randolph Bourne, he maintained that “war is the health of the state”; he accordingly opposed an aggressive foreign policy. In his, probably most influential book (Rothbard 1995), Rothbard crisply summarizes his judgments on a couple of Marxian concepts. "'Alienation', to Marx, bears no relation to the fashionable prattle of late twentieth century Marxoid intellectuals (Rothbard 1995 (2), 349). Regarding the material dialectic, "It is difficult to state this position without rejecting it immediately as drivel" (Rothbard 1995 (2), 377). In an effort to widen the influence of libertarian thought in the academic world, Rothbard founded the Journal of Libertarian Studies in 1977. The journal began auspiciously with a symposium on Robert Nozick’s Anarchy, State, and Utopia. Until to the present, it has remained the most important journal hospitable to libertarian ideas. In his comments on current events, Rothbard displayed an amazing ability to digest vast quantities of information on whatever subject interested him. Whether, for instance, the question was competing factions in Afghanistan or the sources of investment in oil in the Middle East, he would always have the relevant data at his command. A sample of his columns, taken from the Rockwell Rothbard Report, is available in The Irrepressible Rothbard (2000). Another journal that he founded, The Libertarian Forum, provides his topical comments for the period 1969-1984. He presented a comprehensive popular account of libertarianism in For A New Liberty (1973). In two massive volumes, Economic Thought Before Adam Smith and Classical Economics, published posthumously in 1995, Rothbard presented a minutely detailed and erudite account of the history of economic theory. Spanish scholastics, who long before Smith had developed a subjective theory of value, and he dissects the heretical religious thought that prefigured Marxism and gives a mordant portrayal of the personality and thought of John Stuart Mill. Rothbard demonstrated that Adam Smith's economic theories were, in many ways, a comedown from his predecessors and contemporaries in Spain and France, including such later figures as Cantillon, Turgot, and Say. For example, Smith puzzled over the source of value and finally tagged labor as the source (a mistake Marx built on). But for centuries prior, the earliest economists knew that value came from within the human mind. It was a human estimation, not an objective construct. Rothbard was a pioneer in incorporating the sociology of religion into the history of economic ideas. He saw that the advent of Christianity had a huge impact on the theory of the state. He observed the rise of absolutism and theory of nationalism that came with the Reformation. He traced the changes in the Western view toward lending and interest payments over the course of a thousand years. Rothbard was closely connected with the Ludwig von Mises Institute since its founding in 1982. The Institute was a significant vehicle for promoting his ideas during his lifetime, and has continued to do so since his death. Rothbard's thoughts on economic history, economics, public policy, banking policy, and ethics, continue to be influential today. Rothbard deduced the entire body of a Libertarian law code including the laws of appropriation, contract, and punishment. This non-statist code of non-aggression establishes the framework for a competitive method regarding the furnishing of legal, defense, and judicial services. Eventually, Rothbard's goal was to develop the branch of natural law that involves natural rights and that pertains to the political realm. He was concerned with building a system of rules consistent with social cooperation, interpersonal conduct, and the maintenance and facilitation of human life. Rothbard was entirely in accord with Mises’ endeavor to deduce the whole of economics from the axiom of action, combined with a few subsidiary postulates. He carried out the deductive process in great detail, contributing major theoretical innovations to praxeology. Rothbard also integrated Frank Fetter’s theory of rent with Austrian capital theory; and argued that a monopoly price could not exist on the free market. Further, he offered a brilliant criticism of Keynesian economics, and he anticipated much of the “rational expectations” revolution for which Robert Lucas later won a Nobel Prize. He galvanized an academic and popular fight for liberty and property, against the omnipotent state and its court intellectuals. … he combined idealism with realism, scholarship with accessibility, and boundless curiosity with commitment to truth. Like Mises, Rothbard gave up money and fame in academic economics to promote what is true and right. And he set all who knew him an example of how a man should live his life. Rothbard, Murray N. 1957. In Defense of 'Extreme Apriorism'. Southern Economic Journal 314-320. Rothbard, Murray N. 1962. Man, Economy and State: A Treatise on Economic Principles. Los Angeles, CA: Nash. Rothbard, Murray N. 1964. pamphlet What Has Government Done to Our Money? Retrieved June 23, 2008. Rothbard, Murray N. 1965. Left and Right: The Prospects for Liberty Retrieved June 23, 2008. Rothbard, Murray N. 1971. Ludwig von Mises and the Paradigm for Our Age. Modern Age 370-379. Rothbard, Murray N. 1974. Introduction. Egalitarianism As a Revolt Against Nature and Other Essays. Washington DC: Libertarian Review Press. Rothbard, Murray, N. 1976. Praxeology: The Methodology of Austrian Economics. The Foundations of Modern Austrian Economics. Kansas City: Sheed and Ward. Rothbard, Murray N. 1977. Toward a Reconstruction of Utility and Welfare Economics. Center for Libertarian Studies. Rothbard, Murray N. 1992. Keynes, the Man. Dissent on Keynes: A Critical Appraisal of Keynesian Economics. New York, NY: Praeger. Retrieved June 23, 2008. Gordon, David. Murray N. Rothbard (1926-1995). Ludwig von Mises Institute. Retrieved June 6, 2008. Hoppe, Hans-Hermann. 1999. Murray N. Rothbard: Economics, Science, and Liberty. Ludwig von Mises. Retrieved June 6, 2008. Rockwell, Llewellyn H. Murray N. Rothbard: A Legacy of Liberty. Ludwig von Mises Institute. Retrieved June 6, 2008. This page was last modified on 31 October 2018, at 15:33.